For over 20 years, Air Journey has been the world’s leader in escorted flying Journeys, delivering exhilarating flying experiences to the world’s greatest destinations. Travel in a small group on a pre-arranged itinerary, or let us design the perfect journey for you. There is an Air Journey for every pilot. Led by world experienced Pilot/ Journey Directors, Air Journey’s pre-arranged itineraries remove the headaches of where to go, where to stay, or what paperwork is needed? The Air Journey team is there with you to ensure that you and your passengers experience remote and unique destinations, luxury accommodations and first class service without all the hassles. 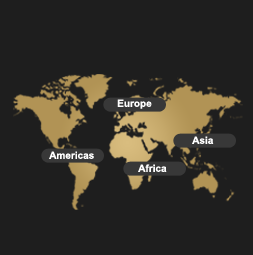 Our Journeys range in length from 4 to 76 days and visit anywhere from 1 to 27 countries. Our Concierge Service allows pilots to design their perfect Journey. Use Air Journeys 80 combined years of expertise and knowledge to create your ideal itinerary whether for business, pleasure or a ferry flight. Air Journey is first class service without the hassles - simply, the best way to travel. You do the flying, we do the rest! Find the Perfect Air Journey for you! Share the joy of adventure flying with members of your Association. Air Journey has created Association Journeys for several plane associations allowing pilots to fly to remote destinations with fellow members. If you do not see your Association and would like to create a Journey for your members, please call Air Journey at (561) 841-1551.